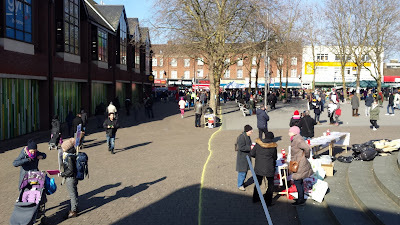 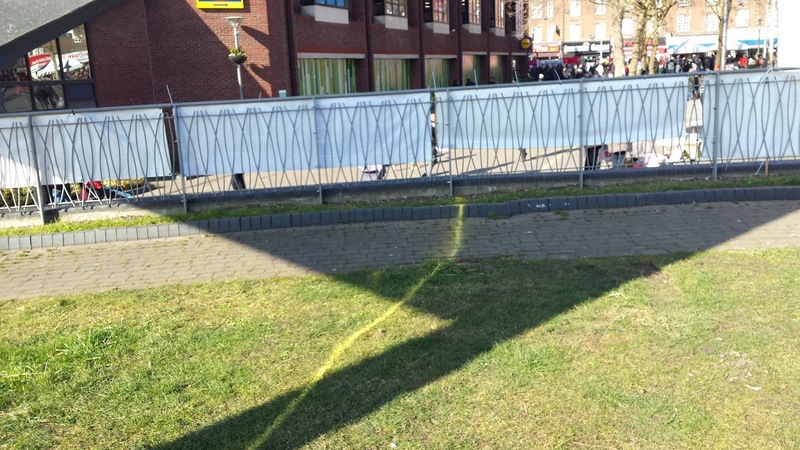 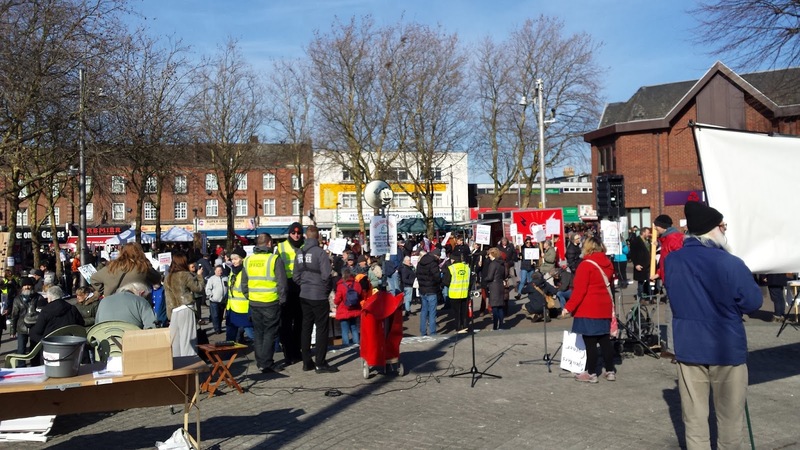 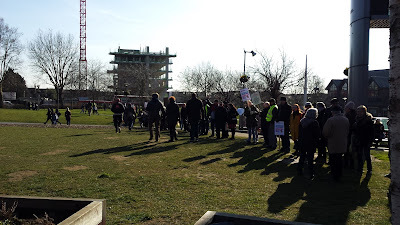 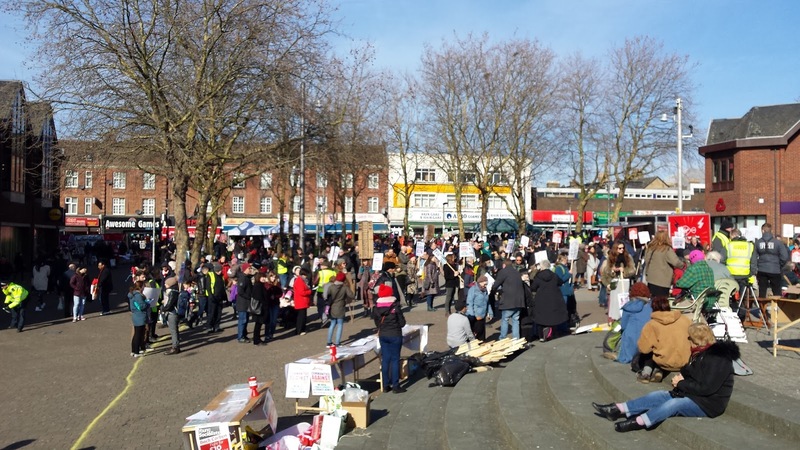 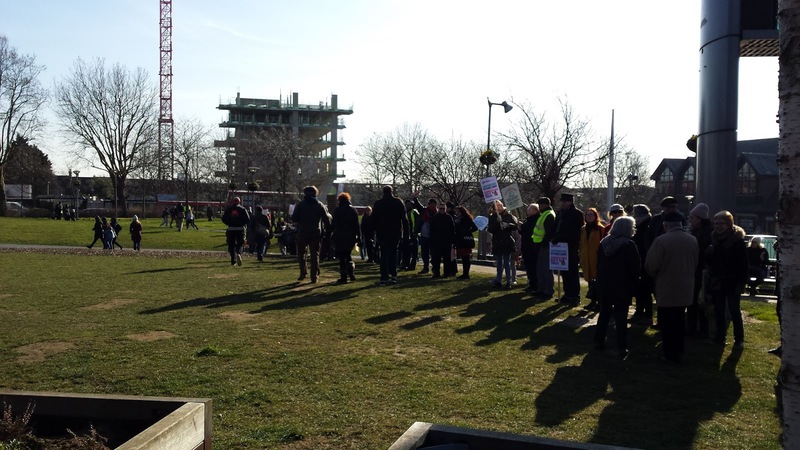 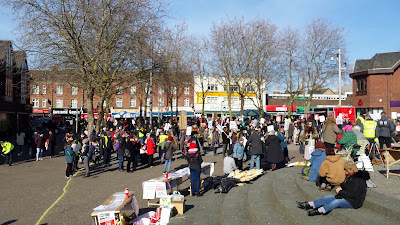 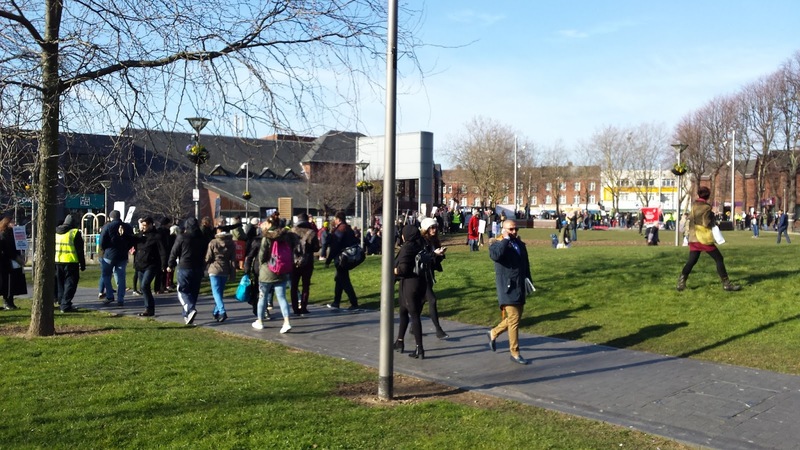 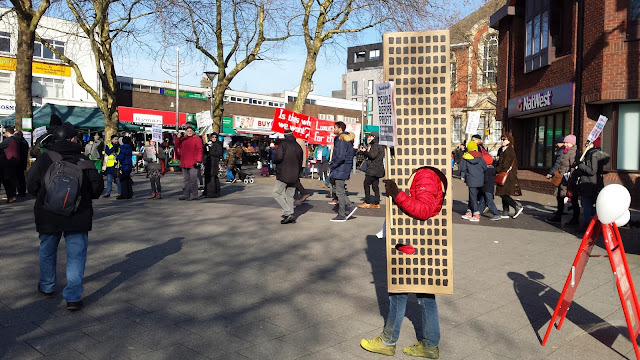 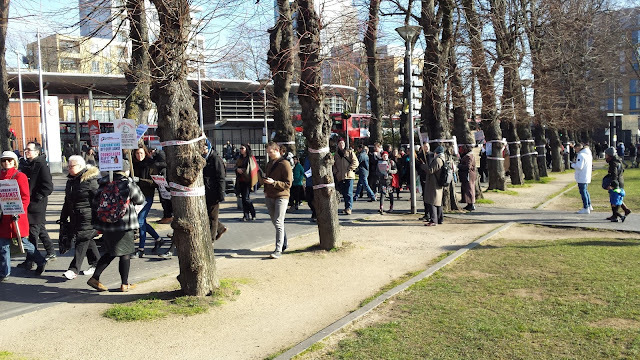 Organised by the Save Our Square Campaign 1,000 or so residents and groups came out to protest at the plans by the council to destroy the Town Centre with 4 monstrous tower blocks over 30 storeys high and the loss of 32% of the openspace. 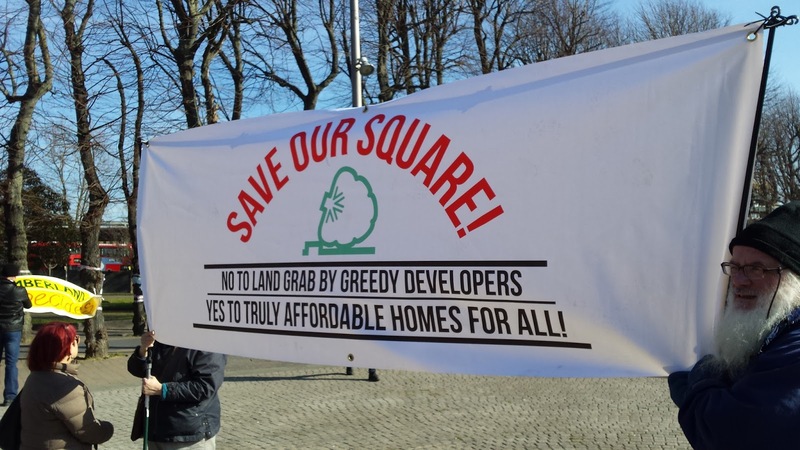 The 502 flats to be built will not be affordable to residents of the Borough and many of the groups protesting were arguing for housing that is affordable to those on average or below earnings. 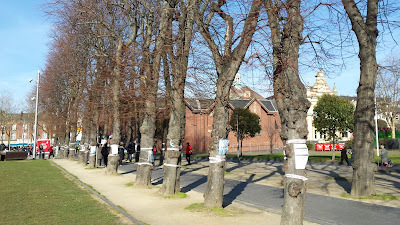 The 81 trees due to be felled were highlighted with art works created by members of the group.